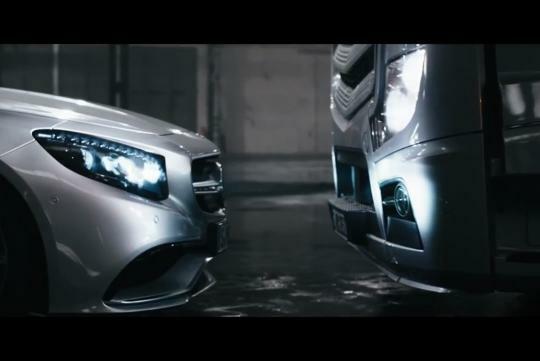 It seems that the people at Mercedes-benz Europe are pretty creative when it comes to producing the company's latest commercial for their new van, the Vito. Cunningly titled Dirty Driving, the video stars its recently released 577bhp, 5.5-litre V8 bi-turbo S63 AMG Coupe and its Actros semi truck. The pair is seen checking each other out and eventually makes out after some very 'intimate' moments. well.. Merc will never fail to surprise me. owhh, i'm too naive to understand its meaning!